Hybrid tomatoes destined for supermarkets are harvested prematurely while still green and sprayed with ethylene, a gas that helps the fruit develop its red color. They are refrigerated for preservation until shipped, a process that further eliminates flavor. That’s why any farmer will tell you to never refrigerate your tomatoes. It was important to me that we use only organic heirloom seeds in our garden this year. Not only are they superior is taste but they are superior in nutrition as well. (For more details, see Industrial Farming is Giving Us Less Nutritious Food.) 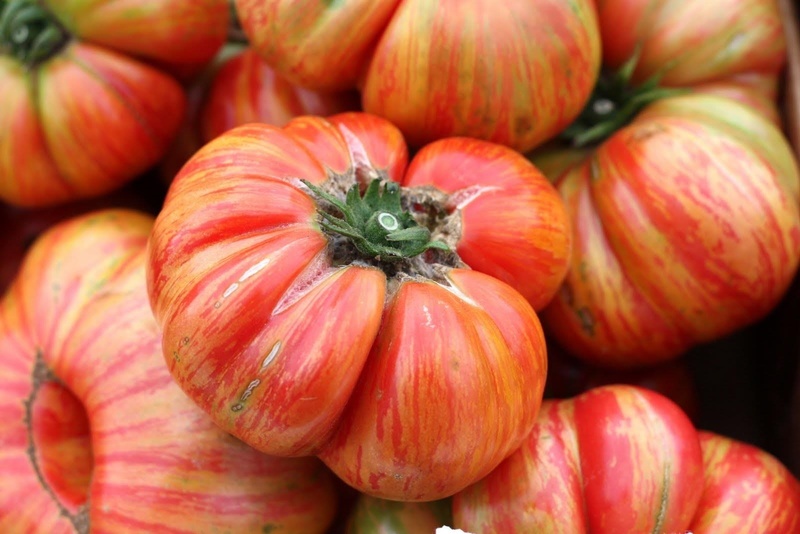 Another benefit to Heirloom plants is that they are less uniform than Hybrids, meaning the fruit does not all ripen at the same time. This is an undesirable trait for commercial farming where harvesting happens all at once, but for the home gardener, it is exactly what you want. 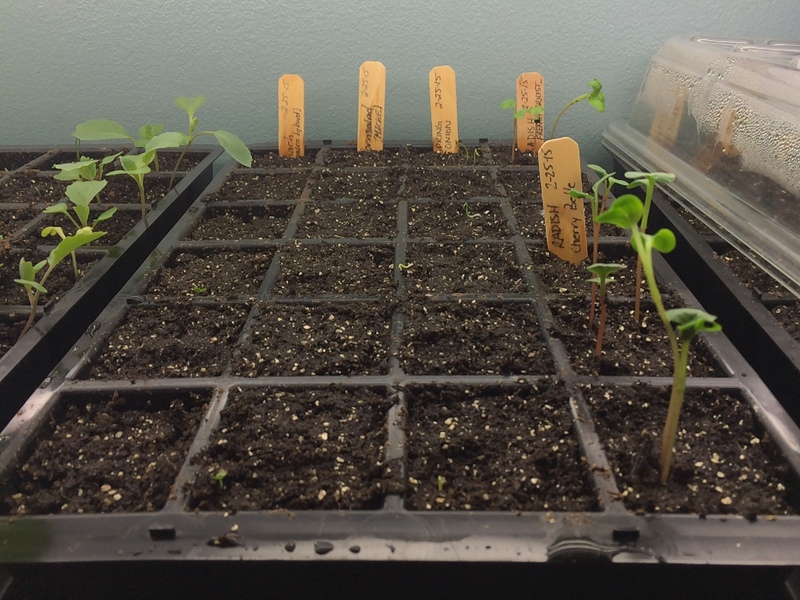 The most exciting part of starting seedlings this year has to be the addition of a new three tier SunLite garden. Ordered from Gardeners and it came in about a week. The unit required assembly and had very poor directions, but the unit itself is well made. Once I got it together it looked great placed against the kitchen wall. I also decided to invest in the Growease seed starting Kit. I justified this expense by knowing that the containers can be reused year after year and that the units are self watering! 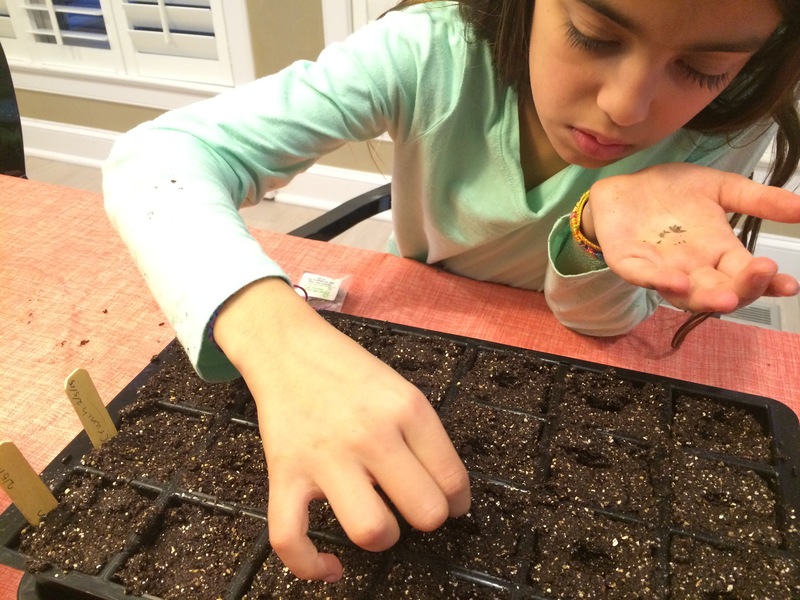 The kids and I got to work mixing water into the germinating mix and packing it into the trays. They enjoyed labeling the wooden sticks with the variety of seeds that were being planted. We started with cool weather plants like kale, spinach, lettuce, etc. These seedlings can go into the garden much earlier that other more sensitive plants especially with the protection of hoops and a cover cloth. 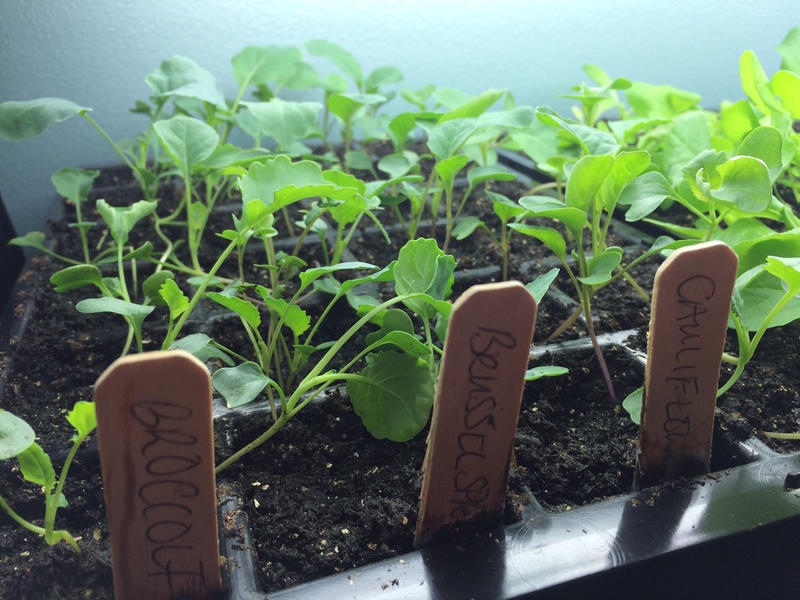 So now, our heirloom seeds are sprouting…next project…growing microgreens! How do bee’s “see” flowers? Hey honey, I got me some bees! Patty Dawn on Its Orchard Planting Day! gagner de l'argent s… on Its Orchard Planting Day!